The United Kingdom is a great place to do business and attracts enterprising people from all over the world, writes Henry Hill. New research by the Centre for Entrepreneurs (CfE) finds that it is Britain’s fairness and emphasis on equality of opportunity that sets it apart and helps it to attract and nurture would-be businesspeople, who go on to create thousands of jobs. “In some parts of the world things are done the old way, where it’s all about who you know, not what you know,” claims Surinder Arora, who started work as a waiter and now operates a string of hotels under several well-known brands, as he explains why he was able to make his hard work pay off. “Those countries and economies get left behind. In the UK things are so much more positive. There is a level playing field – I was lucky my parents came here,” says the 55-year-old who was born in Punjab, India. London does indeed lead the pack when it comes to migrant entrepreneurship: it boasts almost 188,000 migrant-founded businesses, compared to 19,285 in second-placed Birmingham. Nor is this activity confined to England, with both Cardiff and Belfast counted amongst the top 10 British cities. Overall, the CfE’s research suggests there are over 456,000 migrant entrepreneurs in Britain. They come from 155 countries all over the world, but Ireland, India, Germany, America and China are most heavily represented. 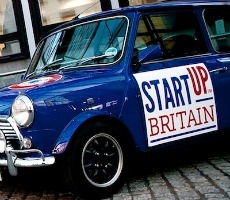 Between them they have founded almost half a million companies and operate just over one in seven British businesses. The Centre for Entrepreneurs is a joint venture by Financial Times columnist and self-described ‘serial entrepreneur’ Luke Johnson and the Legatum Institute, best known for producing the annual Prosperity Index. It’s a new thinktank which promotes the role of entrepreneurs in building a healthy and dynamic economy and society. She explains: “We hire anyone who is committed, hardworking and loyal – we hire Derby natives and immigrants alike. We hire for attitude and train for skills: it doesn’t matter to us where people are from.” Perween prides herself on encouraging women from ethnic minorities into the workplace: S&A Foods employs several full-time trainers who help to train staff towards an NVQ2 qualification in English. Amongst those interviewed for the CfE report there was also a strong emphasis on workplace support and philanthropy. Several support charities, whilst Arora made an entire hotel available to victims of the recent flooding, free of charge.